Hello, this is Will F., who is an expert reviewer of sanitary and home care tools. Thanks for your continuous appreciation, keep on visiting for more suggestions! This is Will the editor of KitchenFaucetCenter.com and I am a big fan of remodeling and making old kitchen modern. A big part of any kitchen is the kitchen sink faucet. 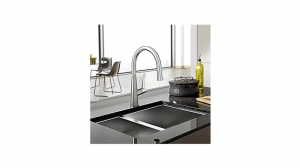 A faucet is both important as a functional part of the kitchen as well as how it looks.